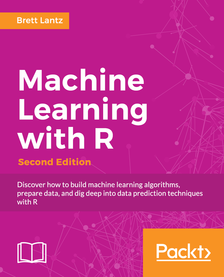 Updated and upgraded to the latest libraries and most modern thinking, Machine Learning with R, Second Edition provides you with a rigorous introduction to this essential skill of professional data science. With this book, you’ll discover all the analytical tools you need to gain insights from complex data and learn how to choose the correct algorithm for your specific needs. Through full engagement with the sort of real-world problems data-wranglers face, you’ll learn to apply machine learning methods to deal with common tasks, including classification, prediction, forecasting, market analysis, and clustering! So take the time today to revitalize and change the way you handle your data with R.